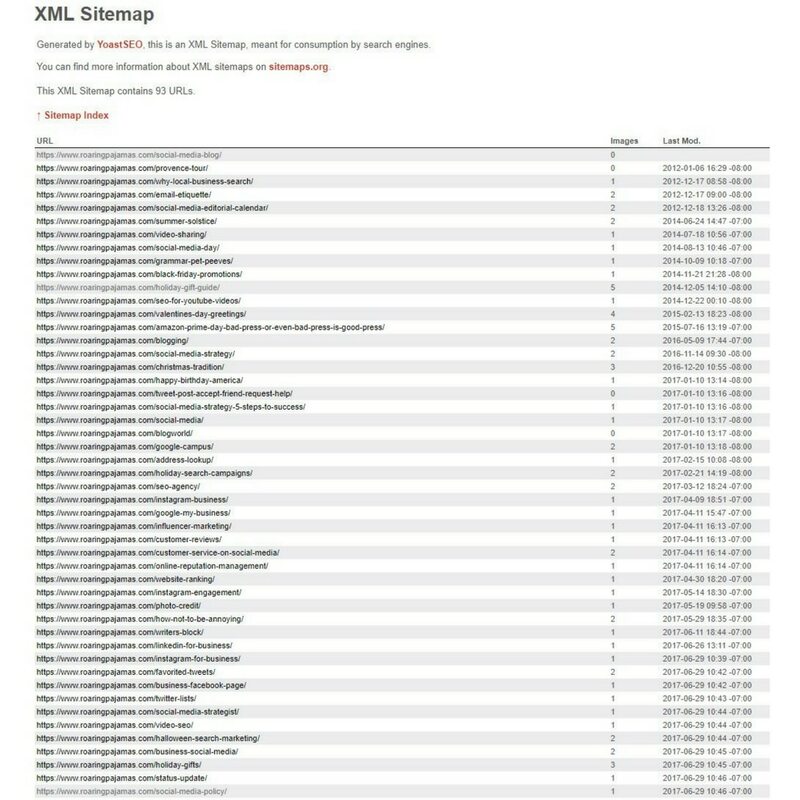 At Roaring Pajamas, an XML sitemap is one of the first items on our SEO audit checklist. Why? Because every website needs one—at least, every website needs one if they want to make it easy for search engine crawlers to find and index the right pages on their site. In this post, I explain exactly what XML sitemaps are, explain why you need one and walk you through the steps to set yours up correctly. Let’s start with what an XML sitemap is not. You may have an HTML sitemap—the user-friendly list of each published page on your site; the one that helps visitors quickly find what they need. XML sitemaps are not made for users; they’re made for search engines. So while an XML sitemap also contains a list of links to pages on your website, this sitemap is not user-friendly, and does not visibly appear on your site. Your sitemap doesn’t require this complexity unless your site includes thousands of pages (like Amazon or Huffington Post or another large content site). Keeping it simple makes it easier on the search engines. The pages in your sitemap simply need to include the pages you wish to see in Google or Bing’s search engine index—the “landing pages” that you want to show up in search results. We keep our clients’ sitemaps (and our own!) simple and clean, as much as possible. A well-constructed sitemap makes finding and sharing your website content easier for search engines—and eventually, those potential customers, too! 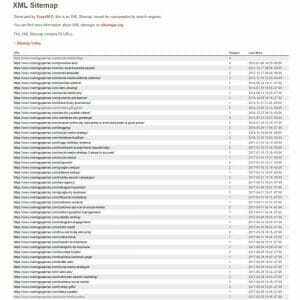 How Do I Set Up My XML Sitemap? There are a couple of different ways to set up your sitemap—and, of course, there are pros and cons to each approach. One of the easiest ways to set up a sitemap is to hire an expert to help. At Roaring Pajamas, we consider a lot of variables when creating an XML sitemap as part of SEO services we offer, and we advise our clients to continue updating their sitemaps long after we’re done (more on that later). The pro to hiring help with your sitemap is that the setup is done for you and (hopefully!) done right. But if the cost of hiring help is too much of a con, you have other options, too. Content Management Systems (CMS) like WordPress have plugins that will generate your sitemap for you. Ideally, these plugins will also keep your sitemap up-to-date when you add or delete pages from your CMS—or they will update the sitemap at the frequency you designate. You can also add “excluded pages” to the plugin; ensuring that they are not included in future updates to your sitemap. Again, this seemingly simple, done-for-you solution is a definite pro! But on the con side, you still need to customize the plugin to ensure your sitemap is built to work effectively. In the end, getting the job done right is doable on your own with a plugin, but not quite as simple as hiring someone to handle the setup for you. There are other helpful tools you can use to set up your sitemap if you’re CMS doesn’t offer a plugin solution. We recommend (and use) Screaming Frog, but a quick Google search will bring up several other viable options. Much like a CMS plugin, these tools will do the work of building your sitemap for you. We don’t recommend that you rely solely on a third-party tool for setup though. Again, you should customize the setup to ensure your sitemap includes (and excludes) the appropriate pages, and continue to use the tool for each additional update to your sitemap. Though the additional customization and updates could be considered a downside, there is added value in having much of the work done for you! Every page in your sitemap should be live and current. Ensure that there are no dead links or 404 error pages. You can have a separate sitemap just for images! This allows Google to review and index images on your site. Optimize your images for search by including an alt text attribute with an image description. Also include keywords in your image file names separated by dashes (no underscores). You’re not quite done yet—sitemaps require regular maintenance, too. But this is the easiest step of all. To start, after you’ve constructed your sitemap, you still need to let search engines know that you have one! You can add your sitemap in Google’s Search Console and in Bing’s Webmaster Tools. The process is relatively simple and, once your sitemap is submitted, both search engines will start crawling your site. Then, make sure you’re keeping your sitemap up-to-date. At Roaring Pajamas, we update our sitemap often—every time we make a change to our site. In the same way, you should update your sitemap at the same frequency that you’re making updates to your website! Following that, re-submit your sitemap to Google and Bing regularly—keeping in mind that submitting more than once per week is not recommended (even if your sitemap is updated daily). I know that constructing and managing an XML sitemap seems like a lot of work! And that’s because . . . to be honest, it can be a lot of work. But your sitemap is a vital aspect of your website’s SEO and a key part of your marketing strategy. Hopefully, these tips will give you the clarity and direction you need to get yours set up ASAP! 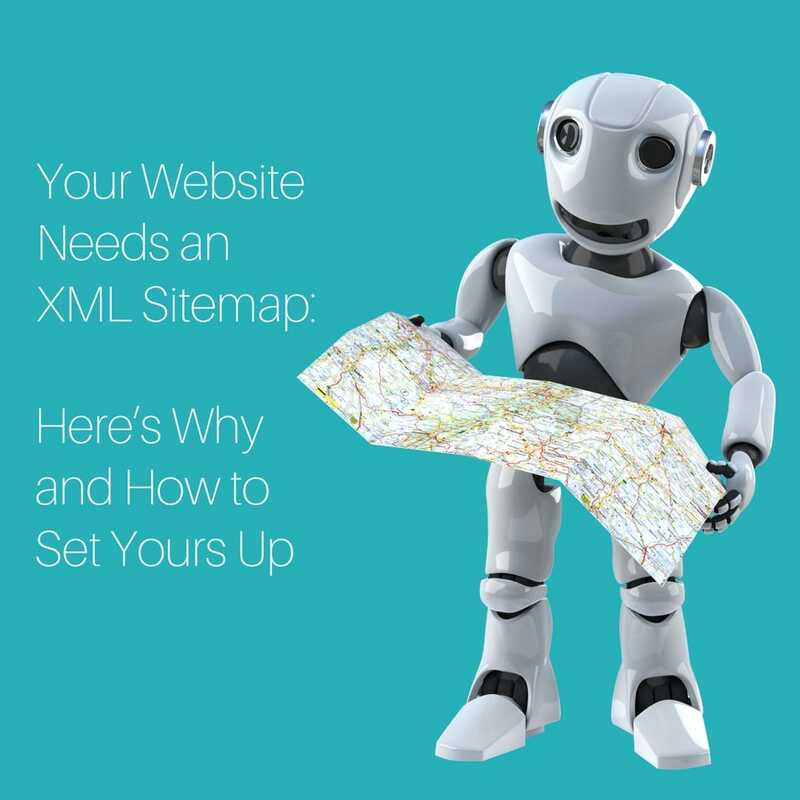 Have you set up an XML sitemap for your website? Share your questions with us in the comments below!